I'm an enthusiast of the frogs and toads of Pennsylvania and I've been working on conservation and small breeding projects. I legally obtained my animals and am filing for an educational permit to obtain only single digit numbers of specific frogs. I am working on two things one which is replenishing the native species from the place they occur. The other is to provide conservation and awareness of the native species. I am creating a small week long series of videos coming out daily like Shark Week from the Discovery Channel. I'm going to post them on my YouTube Channel as the source. 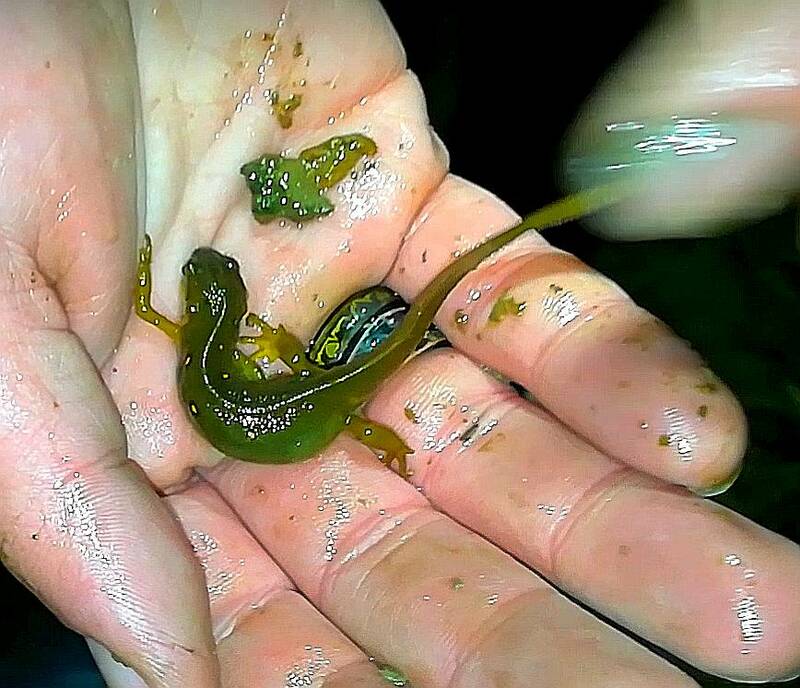 I am working with Josh's Frogs who is sponsoring the project on social media, paherpsurvey is asking for my findings and we have talked a little bit, the state fish and boat commission I am asking to interview them and they are aware of Frog Week. I know someone who enforces the fines and rules. I may be working with a branch of Carnegie Science Center. My school biologist who has a masters in Herpetology knows of the entire project and I work diligently side by side with him. I ask and run things by him daily. My vet who has worked in zoos and with Ripley's Aquarium is providing medical Care and information to me for my hats who I am attempting to breed so they can be approved from a nationally-recognized vet before we do anything including the environment. I also have been in contact with Frank Indiviglio who is a nationally known Herpetologist. Look up his articles if you Google him! He is awesome! I am working with another forum Our Reptile Forum to create caresheets and provide other educational articles. My intention of the project is to make people care about the native frogs. That's why I have a YouTube channel and why I am on here to begin with. I want to help my area as best as I can and my goal is to reach the entire state of PA as my audience to educate them and interest them of frogs. Josh's Frogs will help push the project nationally and so will the forums. I want as many people as possible to checkout the project and hopefully to share it with friends and family to spread the word on conservation of frogs and toads! Frog Week will be herping adventures of mostly Western PA this year and we will find various species and discuss them and their ecosystems. Along with herping I will have my 125 gallon on displaying and both Frog Week and my 125 gallon will have threads on here so you'll be able to follow them. My 125 gallon will feature my pets and a couple other native species pets will be on display. The featured animals of Frog Week are American Toads, Wood Frogs and Gray Tree Frogs. My email will feature them as well. so it is about wild conservation and about captive educational care and showing interesting content to make people care about our frogs. Lol when I wrote this I put frogs and auto correct put hats and I put enclosure and my auto correct put email. Sorry for typos. Another one is from became forum. Interesting post. As a budding batrachologist myself, I am curious about your proposal. You seem to have spent more time assuring us that what youre doing is good than you did showing it is necessary, or even what exactly youre doing. I am glad you included the three species at the end there. Whats their conservation status? What imperils their breeding in the wild that youll be able to circumvent in captivity? I used to keep frogs (actually, many different amphibians) but not anymore; i just try to make my yard a suitable habitat for them. It is nice that you're above board and all but whats the purpose and whats the proposal, exactly? In my initial post I explained the project being conservation and education of frogs in the wild and their ecosystems. I also have the frogs and toads in captivity that are being featured and I'm showing educational content about them so it's two parts. Frogs are declining due to many reasons and Frog Week is going to show deforestation, it might include information about ranavirus and we will talk more specific later once the project is closer to release. The three species face different challenges. The toad is not really in jeopardy it is abundant and doing well, but I want people to see how incredible the American Toad is. It's a friend to Farmers, gardeners, plant nurseries and it eliminates harmful insects like ticks, field mice (occasionally) and mosquitoes. I just want people to know they have a purpose and to encourage people to leave them to do their jobs in the wild. Protecting us! The Wood Frogs are threatened by deforestation and pollution but are not good pets. They like the toads don't have a high demand and the Wood Frog is an advanced frog to keep. I wanted to include them being one of the most unique frogs in the country. They are a terrestrial pond frog and I wanted to encourage the conservation for them because they share the task the toads have in protecting us and our environment. The Gray Tree Frogs are actually being taken from the state and sold in the pet trade and it's leading to a decline in numbers. They are a species of special concern for Frog Week because I want to offer to the state the Gray Tree Frogs should be added to the list of special concern. These frogs are very important and I want to try to encourage people not to buy them online and promote their decline in the wild. For those who have these species or related species in captivity already I'm going to offer care advice and help people to keep their animals. I see it as the frogs in captivity need help just like the ones in the wild. If someone owns them they can't release them so they might as well know how to care for it. 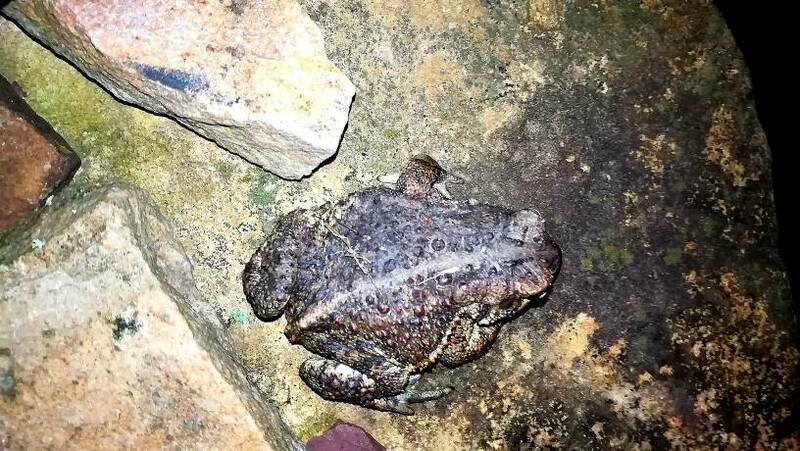 The American Toad has officially come out from hibernate in my area! This is a picture of a Wood Frog. Their season for breeding is about done. I'm so glad too. I live in nepa, around wilkes barre. The frogs here are one of the most soothing sounds. I live in a very small town in the woods. We have creeks, ice caves, ponds, and etc. It's a frog and toad paradise around here. Unfortunately, they've started building. They tore up a whole bunch of land that was supposed to be a deer sanctuary in nanticoke. Two major locations of Frog Week have a good bit of film done. We have seen many animals and in one place there is deforestation and in my neck of the woods it's steady. Some trees cut down but a lot of woods. I'm going to call my county and ask about the deforestation in one area and talk to my neighbor who owns the woods next to me and see what his plans are. The woods next to me is the most important part of my project and the other half of Frog Week. If frogs and toads have nowhere to go then how can we replenish their numbers? The two part episode of the Western Woods will be very interesting to you and you will see many cool animals and hear about them and also what is going on with their ecosystem. 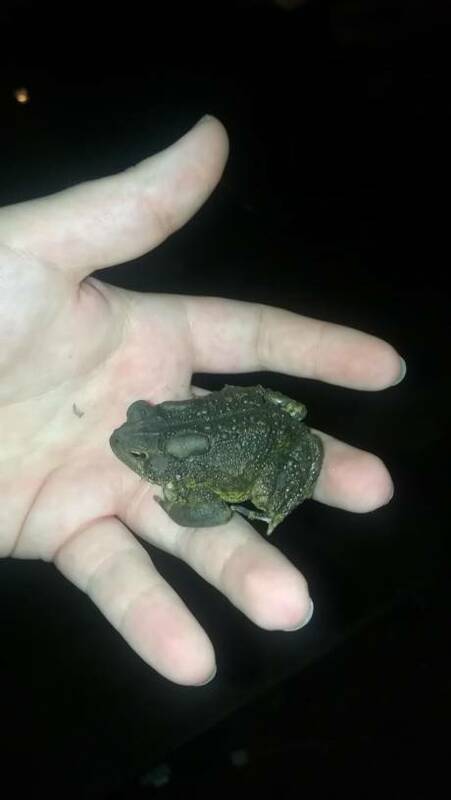 Tonight I was able to save 10 toads and bring them to my pond because they were so close to it anyway. I got them off the street and 10-15 I helped cross the road. As for my pets Pious (male American Toad) who has been getting treated for nematodes and parasites looks to be recovering well and he's off medication right now but will probably have one more dose of dewormer before he can reunite with my female toad (hopefully his mate) Ace. Ace herself is doing great and the Gray Tree Frogs are doing well. Bane is chubby and happy he and Ace are worm free and you can see in their appearance! Christian the other gray tree frog is steady and he is going to be last of the toads and tree frogs to be treated since he's okay. Wellsboro the other male toad is going to start treatment Tuesday when Pious goes back for a follow-up. See everyone in a week or so. I'm not having the best week!